So many gorgeous colours and finishes to choose from. We’ll bring them all for you to browse during your in-home appointment. Once you’ve decided which fabulously fruity shade is the one for you, it’s time to book your free no-obligation appointment. During your chosen time slot, your local Hillarys advisor will visit your home with samples of our entire orange Vertical blinds collection. This is a great opportunity to put any questions you have to your expert advisor. For example, you can ask which of our orange Venetian blinds are best for darker spaces, and which suit rooms that are overlooked. 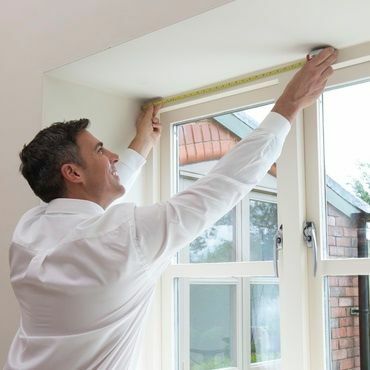 In the first instance, your advisor may suggest wider slats which allow more sun to filter in. And in the second, narrower slats are a fab solution. Bright tangerines make an eye-catching statement and look simply stunning teamed with citrus hues such as lemons and limes. 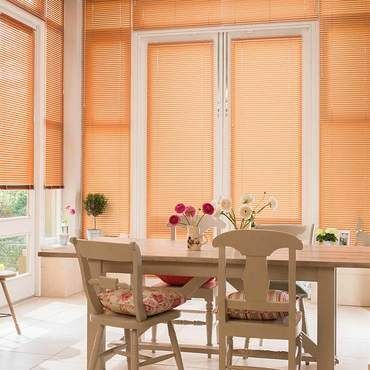 Alternatively, orange Venetian blinds featuring pretty peach or apricot finishes provide a softer impression. Whichever palette you plump for, one thing’s for sure - your orange Venetian blinds will create a gorgeous glow at your window. The adjustable slats allow you to balance sunlight and privacy in your interior, so you don’t have to compromise on either. If orange isn’t the colour for you, then take a look at our full Venetian blinds range for more inspiration.